SF Landscapes specialises in high quality landscape work with extra attention to detail to create landscapes which last the test of time. The owner/operator, Stuart has had extensive experience in all aspects of landscaping since he started his landscape career in 1992. Stuart has worked with reputable and award winning companies as a tradesman and foreman in both residential and commercial sectors. Stuarts’ passion for landscaping has led him to work more on residential landscapes, this enables him to work more creatively and to be able to collaborate closely with his clients from design through to construction to completion and achieve the best possible result. 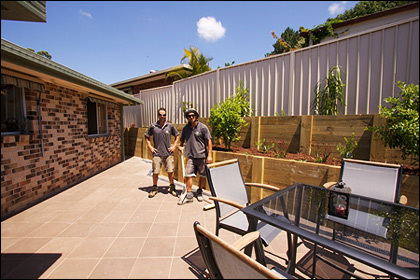 SF Landscapes is a landscaper based in Coffs Harbour, please contact Stuart on 0401 382 060 for a no obligation free quote.